One thing that I do daily is check the weather... as you can imagine, our portrait sessions are very dependent on what the weather decides to bring us that day. And, how many of you agree that the weather app or the forecast just isn't very accurate sometimes? Well, on this day, as we were driving to Cleveland, GA, Mr. Weather Man told me that everything was going to be fine. Well.... the closer we got to the venue, the darker the clouds became. We were so bummed... But, we were almost there, so we just kept driving. Amanda, our bride, called... She was the best because most people would have just said let's call it a day and reschedule, but because we were all there early and had so much hope that it may just blow over, we still met. We gave the storm 30 minutes... While we were waiting, we had a tour of this beautiful venue by their most amazing staff. Do you love this style? 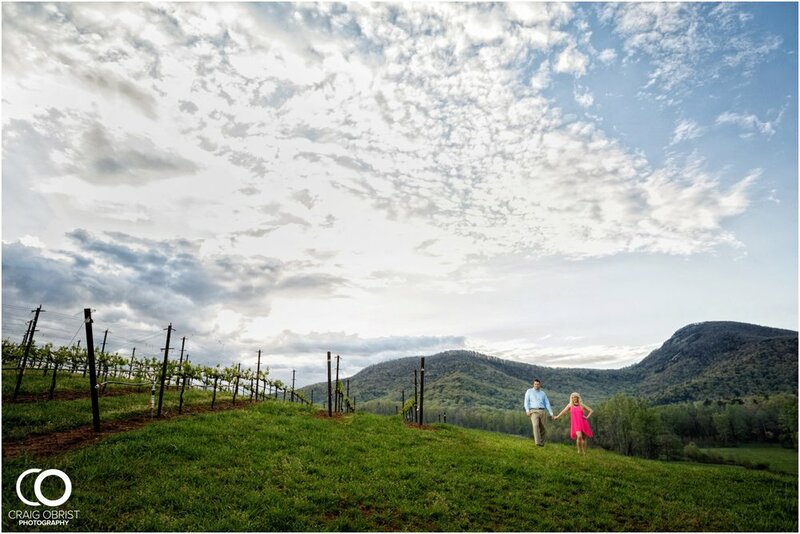 Then, check out Yonah Mountain Vineyard! Every little spot was stunning! But, the rain kept coming, so we began the shoot with some shots inside the venue. Then, guess what happened? Yup! The rain miraculously completely stopped... the sun actually came to join the shoot a little too and actually gave me the most ideal lighting. Love what happens when you just patiently wait sometimes.... when you give something a chance! Amanda and Geoffrey were the most positive couple we could have ever asked for. Even while it was raining, they both didn't stop smiling! There were no frowns or anything... we assured them that if it really didn't work out, we would totally reschedule, so there were no worries there. We were all so thankful when the storm clouds went away and began the outdoor shots. Amanda and Geoffrey, you guys were the best! Even through the cold, the mud and the rain, you guys didn't allow any of that to negatively affect your day, and we LOVE that about you guys! What a pleasure it was to learn more about you... You guys chose such an incredible venue and we are looking forward to celebrating your wedding day here again. Hope you love your photos as much as we do!